You are here: Home : The Cricketers : News : Announcing our gorgeous new Specials Menu! Announcing our gorgeous new Specials Menu! We’re all very excited to be launching our new Specials Menu today …. 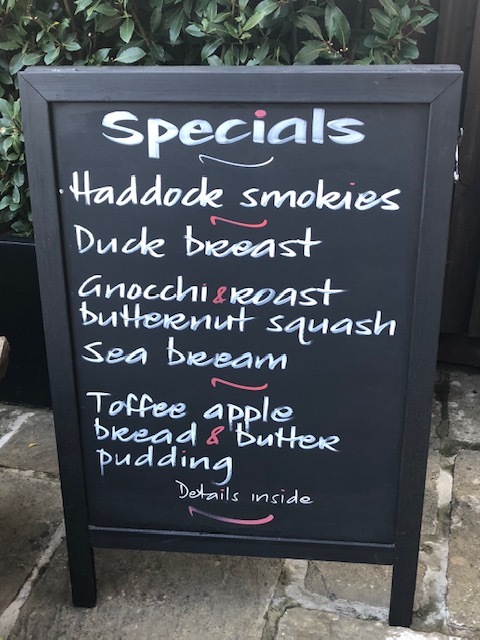 there’s lots of lovely new dishes for you to try, including the seasonal homemade toffee apple bread & butter pudding served with custard. Simply delicious!